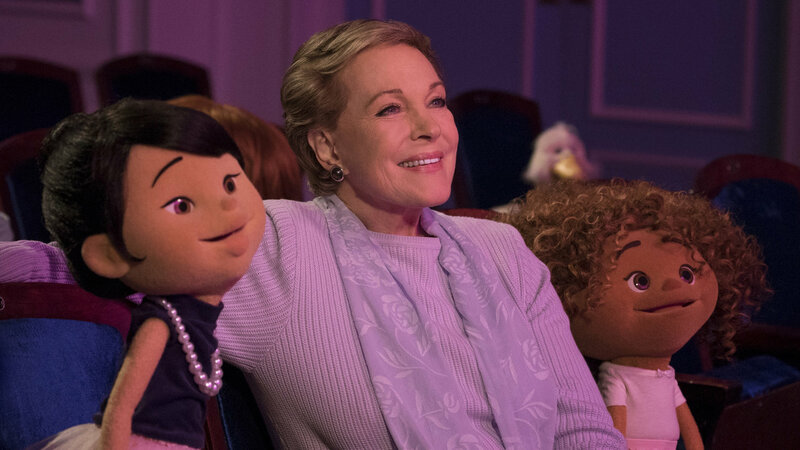 Julie Andrews, the beloved and venerable star of stage and both the big and small screen, is coming to Netflix with a series entitled “Julie’s Greenroom.” She will appear with seven Muppets, a dog, a duck, and five small children, according to NPR. With the help of celebrity guests, Andrews will guide her Muppet costars in the production of a musical from start to finish. Julie Andrews hardly needs any introduction. She first became known to broad audiences in the 1964 Disney production of “Mary Poppins,” in which she played an enigmatic and magical nanny who changes the lives of an Edwardian family. Other great musicals she appeared in and graced with her five-octave singing range included “The Sound of Music,” in which she starred as the real-life Maria von Trapp, and “Victor Victoria,” in which she played a woman pretending to be a man pretending to be a woman in 1930s Paris. Unfortunately, her magnificent singing voice was all but destroyed as a result of a botched operation in the late 1990s. Andrews has been in some more adult fare including “The Americanization of Emily.” Alfred Hitchcock’s “Torn Curtain,” and “S.O.B.” directed by her long-term director husband Blake Edwards. She also appeared in two “Princess Diaries” films, in which she plays the queen of a small European country whose granddaughter, a feisty American teenager, played by Anne Hathaway, is the heir to her throne. “Julie’s Greenroom” is not the first time Andrews has appeared with Muppets. She was a guest on a 1977 episode of “The Muppet Show,” in which she experienced the madness of characters like Kermit the Frog and Miss Piggy. She sang to a group of baby goats. Each of the guest stars will teach the Muppet children an aspect of the theater. Alec Baldwin, a man not normally associated with children’s programming, will give instruction on acting, Bill Irwin will discuss the art of being a clown. Another episode will feature a trip to the Broadway production of “Wicked,” with a trip backstage and a look at makeup. The final episode will feature Julie Andrews’ old friend and occasional co-star Carol Burnett, who will appear as a wealthy patron of the arts, the lesson being that without funding there will be very little art indeed.